We are what we eat, which is why it’s important to clean up our diet and be healthy. The only problem is it’s hard. Anyone who has tried to stick to a plan for longer than a month understands the dynamic. You start off strong and slowly start to fade as temptation takes hold once again. After all, you’ve been good, so don’t you deserve a break. Unfortunately, a hiccup in a routine encourages bad habits to return, and then you’re back at square one. 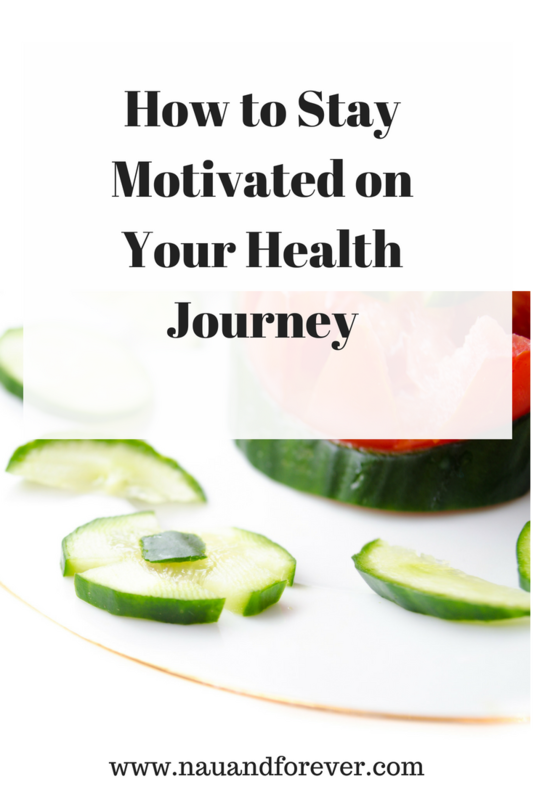 The key is to stay driven and motivated, and here are the tips which can help you stay motivated on your health journey. Going cold turkey is a myth. There are no health benefits to cutting out carbs or fats or anything else you think are unhealthy. A legitimate diet includes all of these things, but it does it in moderation. Eliminating them from your diet is only going to cause hunger pains, especially if you try to go carbohydrate-free. 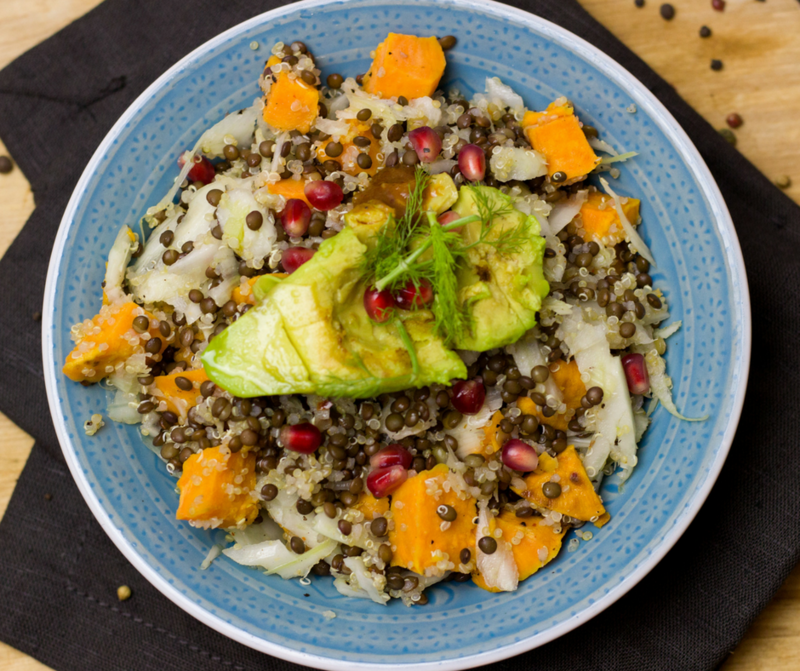 Carbs digest quicker and satiate the stomach, so without them, it’s will feel empty. The trick is to take it in stages and cut down without cutting them out altogether. For example, switch from white to brown. Brown pasta, rice, and bread are all much better than their pale cousins. Too many people start a diet and pick ingredients they hate or have never tried before. This is a rookie mistake because the brain will associate the diet with being bland, and then it will crave foods it thinks are tasty. Usually, these are junk foods. So, be sure to choose the stuff which you know you can turn into a delicious meal. A perfect illustration is vegetables. Forget the things you don’t like, such as mushrooms, and focus on tomatoes and onions and peppers. Then, come up with clever ways to make them more delicious. With veggies, you can cook up a storm with a low-calorie stir fry. I prefer the term “treat” but give yourself a cheat day. This doesn’t mean that you binge all day on carbs and sugar. But if you want a piece of cake, have the dang piece of cake! If you’re looking for a healthier way to sweeten up things, consider raw honey. When you buy bulk raw honey, you always have an option to sweeten the dullest of dishes. Or even make your favorite sweets and replace the sugar with honey or pure maple syrup. There is nothing wrong with cheating in moderation. Think of a balanced, 80/20 lifestyle. Dieters think they have to go long periods without eating, but that’s ego. It’s your brain wanting to do it the “proper” way instead of choosing the path of least resistance. People who can’t go a couple of hours with eating are going to struggle to stay motivated, which is why you should check your ego at the door. For those that love eating, it’s about frequent, small meals as the regularity of them should stop your gut from rumbling. The best way to stay motivated on your health journey is to get an accountability coach. This is someone who will hold you accountable for your goals and help you be successful. If you’re looking for an accountability coach, I’d love to work with you! Fill out this quick form and let’s see if we will make a great team. If you are on social media, then you can look around and see that we are making waves in how much mental health is being destigmatized. It can impact your health much like a physical illness can, so it is great that more and more people are talking about it. It is becoming much less of a taboo subject, which is why we can all talk about how we feel much more openly. Let’s keep this conversation going because it’s so important that you take care of your mental health. With that in mind, it is important to remember to seek out help for depression or any other issue that you have with your mental health; professionals are there for a reason. 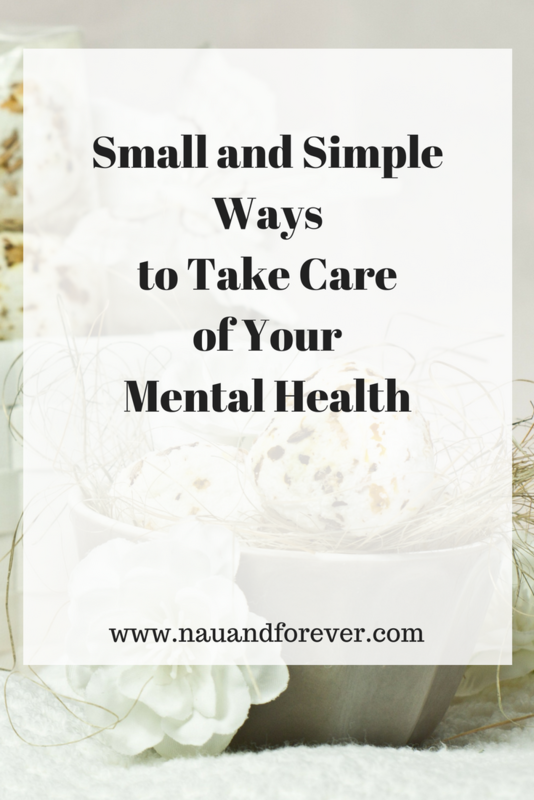 But there are plenty of things that you can do at home to take care of your mental health, that is small things, but they can have a pretty big impact. It would be great to hear what you think. The older we get, the more we understand our body and our mind, and we’ll know when we need to take a mental health day. Taking time out when you need one is going to help you to be happier, more productive, and just generally better. So don’t think of it as being selfish when you need to take a mental health day or time out. 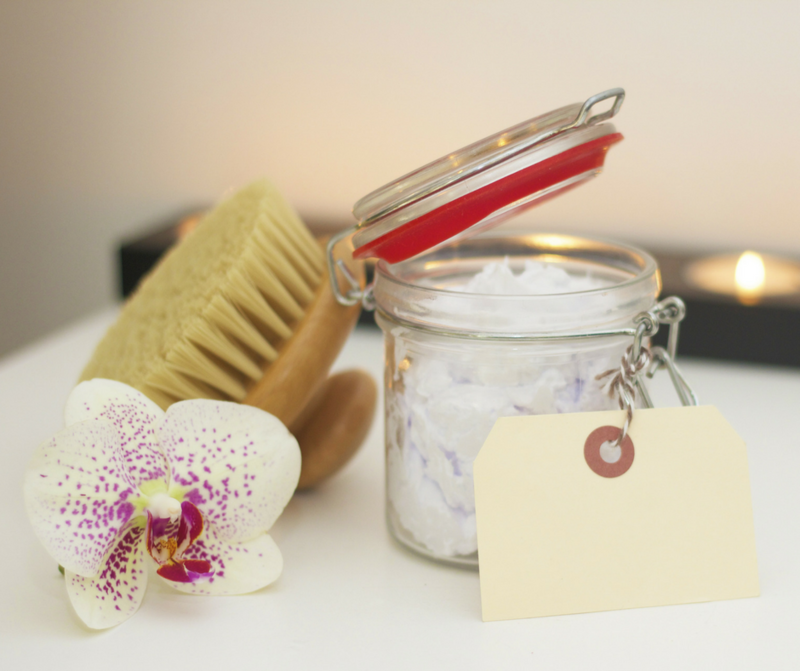 It is pretty much preventative medicine and can help your overall health, not just your mental health when you’re able to unwind and reduce the stress and overwhelm in your life. Getting a good night’s sleep is just what you need to feel better and be healthier. So why do so many of us scroll through our phones late into the night, or sit and watch Netflix in bed? All of this screen time isn’t conducive to sleeping well. Write down notes, meditate, stretch, take a bath, or make yourself a warm milky drink. This will help you to sleep better, as well as break down the day and move on before bed. Mindfulness is a bit of a buzzword of late. But in reality, it really can make a difference to your health, and in particular, your mental health. Mindfulness is all about living in the moment and being present. Take breakfast time, for example. Do you eat your breakfast while checking your emails and watching the morning news? This is too much chaos to start your day. Practicing mindfulness is just doing one thing at a time. Eat your breakfast and be present; simply eating your breakfast and being with your thoughts. Doing this a couple of times a day can really have an impact. It’s so vital that you take care of your mental health. This should be non-negotiable. Whether you struggle with depression and anxiety, or you consider yourself a healthy and happy person, your mental health is vital! Check out this post on the stigma of mental illness here to get a better understanding of the topic. Your entire life, you walk through it knowing that education will open the right doors financially and in your career. A good job will open the right doors for personal fulfillment and help to secure your bank account. A good exercise routine will allow you to feel healthy and well within yourself. Everything that you do for yourself contributes to the experiences that you have in your life, but what if you concentrated less on the things that you have, and more on the feelings that you get when you’re doing more for your life and not just for you? 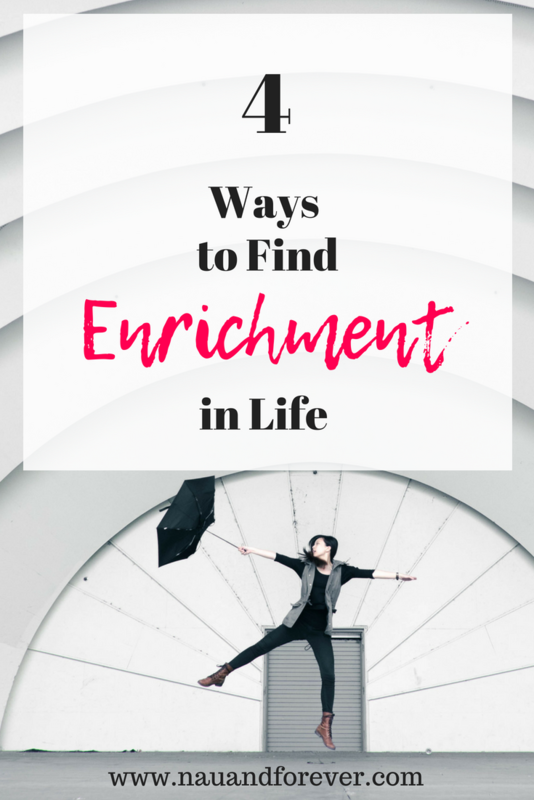 What if it wasn’t difficult to find enrichment in life? Being at peace with yourself starts when you stop looking for next great thing. If you find that you’re continuing to utter phrases that start with, ‘when this happens, I’ll be happy’, then you’re not truly happy yet. Only you can draw the line at enough and the thing is, enough means different things to different people. Finding personal enrichment is going to take you far more than trying hard to have it all. You can only be truly enriched and happy when you start to feel more at peace with yourself. Some people find this in education, some people find this in volunteer work and charity, such as Cane Bay Cares with Kirk Chewning. Others find it in the ability to look out to the endless ocean and know that there are things out there bigger than themselves. 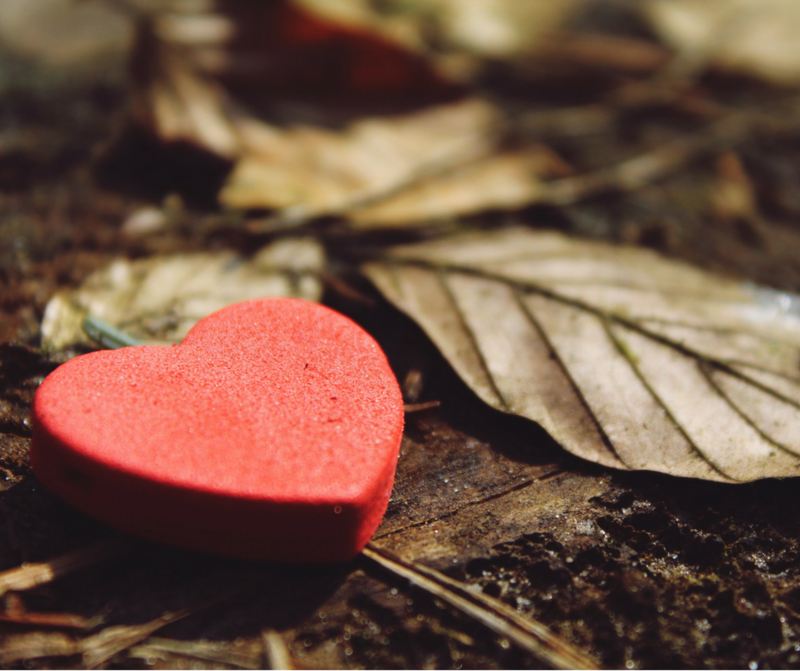 There are four steps that you can take to start enriching your life, but first, you have to ask yourself what you want from life in the first place. If you can think about yourself achieving the things that you want to achieve, you’re far more likely to get there. You have to really dive deep into this vision and figure out what you see for yourself in your life, reach down and feel every moment of what you want to have in your life. Create mood boards to physically visualize what you want and be open to things changing. Dreams change as we do. You need to think about why you want the things that you want and how you plan to achieve them. Once you figure out your ‘why’, it’s the catalyst to keep you moving. You should always have faith in yourself when you have dreams to achieve, so you should always act as if your wishes are already being fulfilled. Acting on faith can be everything that you need to continue in your pursuit of happiness. No one thinks about being grateful as a way of being, but it can be. The more you focus on how grateful you are for what you have, the better you can attract the things that you want for your life. Enriching yourself takes more than just the good education and the great career. Accepting yourself, aiming for happiness and being at peace with your life takes more than the ‘stuff’ you can have. Aim high, achieve and feel fulfilled for it. It’s much easier to find enrichment in your life than you think. Knowing exactly what you want and having the vision and faith that you can achieve it is so important. You should always be grateful for what you have. Start each day with a grateful heart by filling out a gratitude journal. It also serves as a great reference when you are feeling down. Another important thing is to improve your mindset! Check out these 5 tips on improving your mindset today!